We were testing for using gelatin prosthetic to apply to this make up. We mix white, black, green colour to make the result as real as possible. but we get problem about gelatin prosthetic after make up has done. Gelatin Prosthetic was melted after 1 hour, because it can not adapt to the tropical climate and body temperature. SFX Makeup Indonesia requires attention to adapting in tropical climate. Some materials and technique will unable to use because can't adapt to environment. 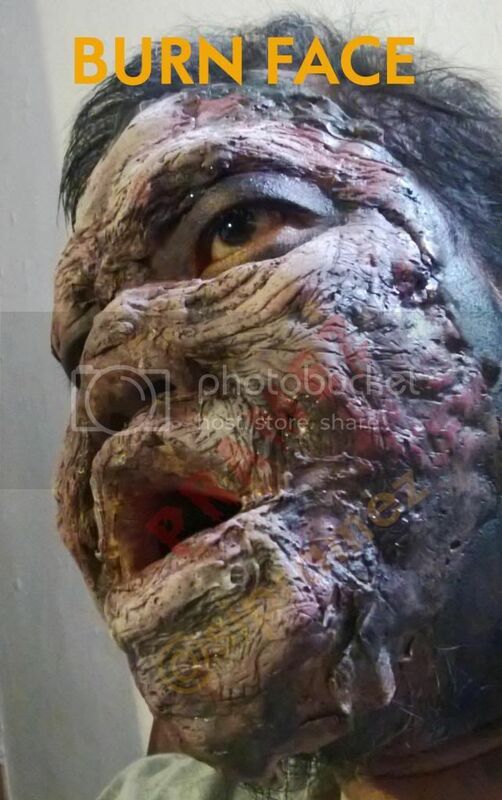 Beneficially, we get another materials and technique because our R & D.
Another SFX Makeup Indonesia portfolio.